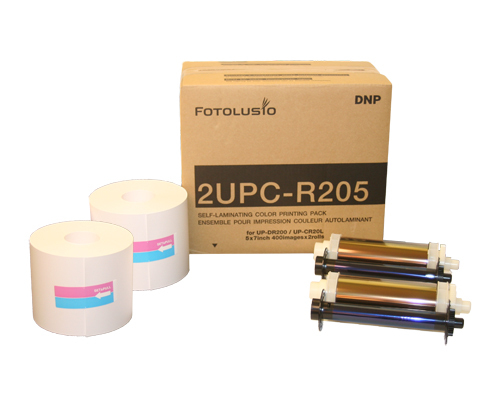 Sony UPDR200 photo printer refurbished by Imaging Spectrum and includes a 90 day warranty. NOTE: the Sony UPDR200 does not include 5x7 Spacers (4x6 and 6x8 media do not require spacers). See a video about our refurbishing process here. Download the Printer Manual in PDF. Download printer drivers (XP, Vista, and 7) for the Sony UPDR200 here. Print 2 - 2x6 Photobooth strips on one 4x6 and the printer automatically cuts it. Compatible with Darkroom Booth photo booth software. Sony's UPDR200 printer delivers a powerful combination of exceptional quality, fast speeds and high profitability for a wide range of event photography and retail applications. The UP-DR200 has advanced digital photofinishing to a new level of productivity and performance, making it the ultimate choice! 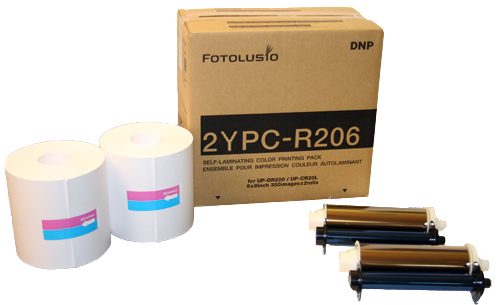 This state-of-the-art printer offers media pricing that will allow retailers to competitively enter the profitable market of high volume digital photofinishing and attain higher margins. Also attractive for both retail and professional application is Sony’s patented ProMatteâ„¢ finish, which offers the look and feel of traditional silver halide matte photos. This sophisticated matte offers a fine raster finish and a non-glare, fingerprint resistant surface. This workhorse printer offers approximately 30% greater paper capacities than its predecessor, the Sony UPDR150. It can hold 700 4x6 prints. And the front-loading operation and auto-loading mechanism of the UP-DR200 makes for the easiest replacement of paper and ribbon ever. Simply open the front door and insert the roll and ribbon! 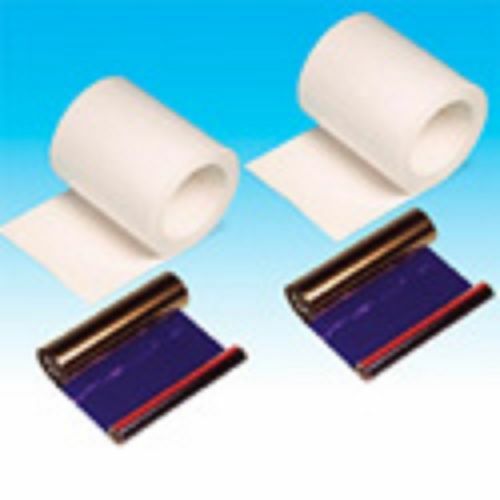 And, the printing side of the paper is on the inside of the roll, helping to eliminate fingerprints, paper curl and waste. Competitively priced media with superb quality. High Volume and High Speed printing of 4x6”, 5X7", and 6x8” prints. Uses dye sublimation technology for professional quality prints. The USB interface makes data transfer fast and easy. Power consumption - 5 to 2.5 A max. These printers are fantastic. We have been using new ones since starting our photo booth business in 2009. Since then, we have bought several used ones from Imaging Spectrum. They always come right out of the box ready to use! We truly hope that we can keep getting our hands on these as these printers are the best we have found. Disadvantages: I cannot think of any disadvantage to these printers. Sony released a multi-cut driver for the UPDR200. This is a video of the UPDR200 Printing 2 2x6 inch prints using 4x6" ribbon and paper.